Can you guess where the WAKASAGI are hiding under the ice? 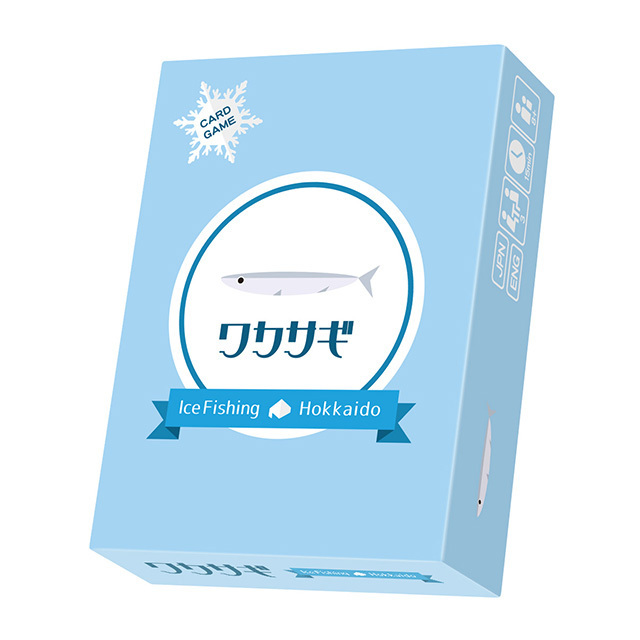 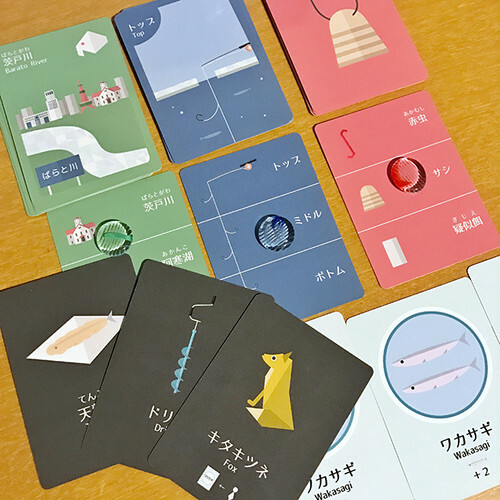 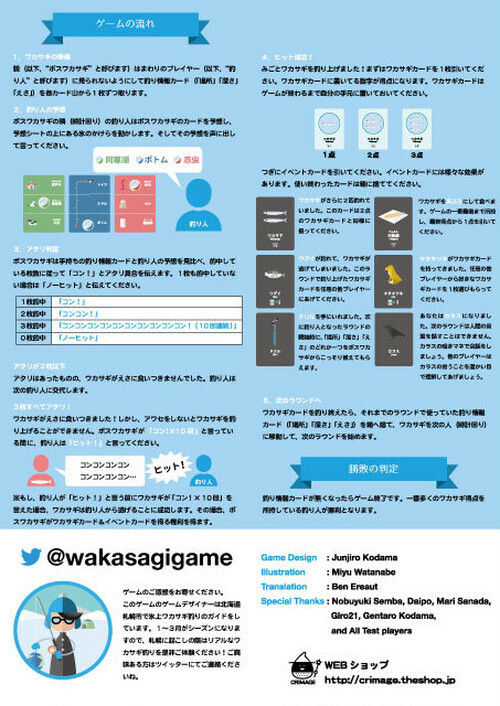 Play the game of HOKKAIDO WAKASAGI ICE FISHING. Just like real fishing, you'll need to find the right place, depth and bait to bring in your catch. 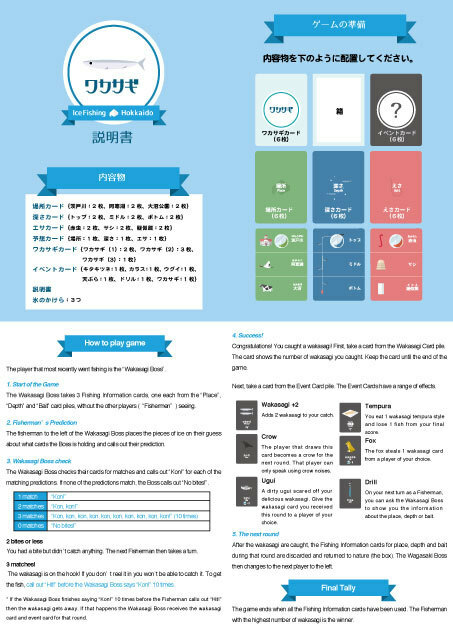 Have fun with family and friends, as you use the event cards to see who can get the most fish. 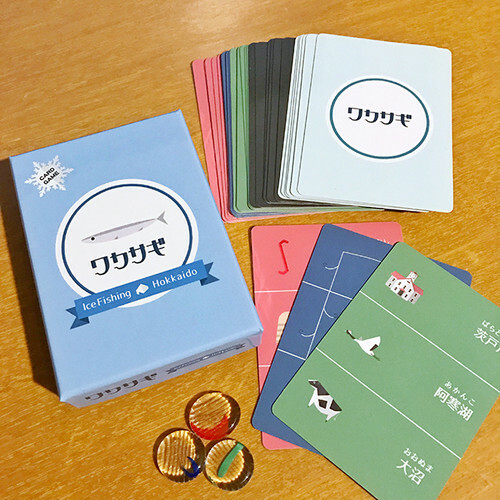 *This game can be shipped overseas. Shipping fee is included in ¥2,000.